The Next-Generation Transit Survey (NGTS) is a wide-field photometric survey designed to discover transiting exoplanets of Neptune-size and smaller around bright stars (magnitude V<13). NGTS employs an array of fully-robotic small telescopes operating in the 600-900nm band, thereby maximizing sensitivity to bright but relatively small and cool host stars (K and early-M spectral type). NGTS will survey brighter stars than NASA's Kepler mission, and will therefore find the brightest exoplanets of Neptune and super-Earth size, providing the prime targets for characterization by telescopes such as the VLT, E-ELT and JWST. Bright targets provide the key to understanding planetary structure and evolution, as well as atmospheric composition. 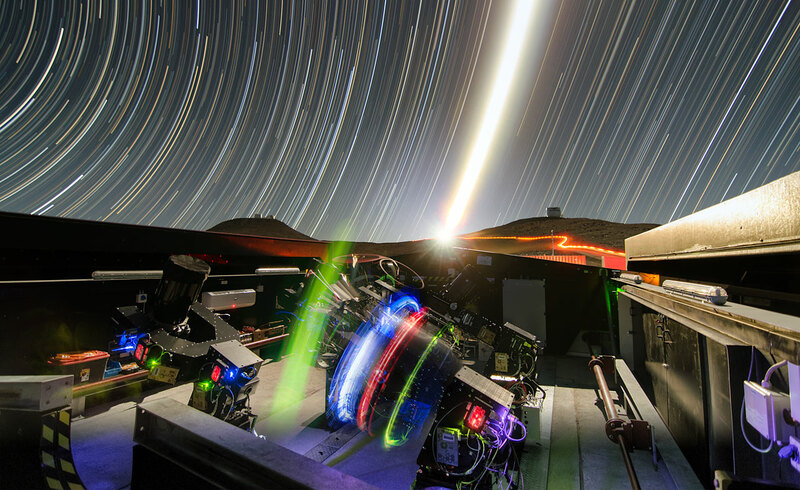 NGTS is sited at the European Southern Observatory's Paranal Observatory in Chile, home of the VLT, which meets strict requirements for low water vapor and excellent photometric conditions. This is the first telescope project hosted, but not operated, by ESO on Paranal, and strengthens the synergy with ESO's telescopes. Our science requirement of 0.1% photometric precision across a wide field is technically demanding, and so we have demonstrated all key technologies using a prototype system, which operated on La Palma during 2009 and 2010, and at the Observatoire de Geneve from 2012-14. NGTS also benefits from hardware and software heritage from the SuperWASP project, which since 2004 has been the world's leading in the discovery of transiting exoplanets of Jupiter size. The NGTS data will flow into the ESO archive system and will be available to astronomers worldwide for decades to come. First light at Paranal! ESO Press Release including some fantastic pictures, videos and an ESO Podcast.